Beta testing is a critical stage in the software development lifecycle. It helps refine your mobile app quality and improve its user experience, among many other things, which is why it’s crucial to integrate a third-party iOS beta testing tool for bug and crash reporting and to collect user feedback. Beta testing saves time, money, and effort throughout an iOS app’s lifetime. It also provides an opportunity to collect user feedback for product research from beta testers. However, many teams cut corners for various reasons and this results in more code errors that an iOS beta testing tool could minimize. The number one goal of beta testing is to ensure app quality, making sure that everything is working as it should be and that you’re providing the best user experience you can. The word quality is very broad and consists of many aspects, including performance, usability, and stability. On the other hand, by “quality app”, we don’t mean an app that is completely free of bugs. In fact, a 2015 survey by Evans Data conducted on more than 500 active mobile app developers showed that almost 75% of mobile apps are released with an average of one to 10 bugs. While it’s normal for a few errors to slip through the cracks, app users are very intolerant to buggy apps and that’s why you need to be on top of your game and constantly update your app and fix any problems found with the help of an iOS beta testing tool. Bugs can be very costly. Releasing a buggy app can not only cause you to lose existing users and potential revenue from those churned users, but also lose potential new users who are turned off due to negative App Store reviews about your buggy app. You’ll also lose development time to fix those errors in production. Beta testing your app before release is the solution, and an iOS beta testing tool will catch issues before they reach the public’s hands. Aside from beta testing, some companies invest in bug bounty programs which are created to pay testers to find bugs and vulnerabilities. In fact, Google’s bug bounty paid out a hefty $2.9 million in bug bounties in 2017 with the rewards ranging from $500 to $100,000 or more depending on the type of bug and the amount of time spent. That’s why you should always invest in beta testing tools as they end up paying off and saving you a lot of future losses that you might not even be able to foresee. Not only do you need to make sure that all aspects of your app work exactly as they should, you need to make sure that they’re up to industry standards and to users’ expectations because your definition of good app performance might differ from what your users expect out of your app. 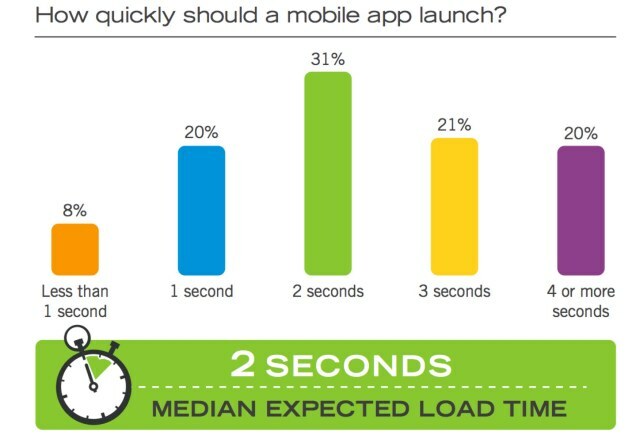 For example, a study reports that users expect apps to have an average load time of only two seconds.Your app might be groundbreaking, but if it takes too long to load, which you might think is an okay trade-off, your users might disagree and think that it’s annoying, which you’ll never know without collecting user feedback through an iOS beta testing tool. Furthermore, performance tests can be tricky and some tests might perform differently on similar devices and are almost impossible to be reproduced in controlled environments. So the only way you can actually analyze your app’s performance is by having your testers experiment with it in real life. Beta testing is a great way to validate your ideas. You might think that you’re building the best mobile app with revolutionary features, but you won’t really know if that’s true or not until you get user feedback. Feedback from users during beta testing is critical and might cause you to make anything from minimal to drastic changes in your app or your product roadmap. A very good example for this is Supercell, arguably one of the biggest mobile game development companies in the world, which sets very high standards for its games. Supercell killed 14 mobile games during the beta testing phase when they didn’t pass these standards. As of today, they’ve only published five mobile games that made it through their tough beta testing process. Two of these games ended up being in the top five highest grossing apps on the Apple App Store worldwide. Having a beta testing program with many external beta testers gives you a broad spectrum of feedback with diverse perspectives. It allows you to get out of your mobile app bubble and see what users from different backgrounds and demographics actually think of it. Technically, it also allows you to have your app tested on many different devices, operating systems, and locales. Studies have shown that only one out of five testers will try your product and provide you with feedback, and you need a minimum of 100-300 testers to ensure that your app is properly and thoroughly tested. Unless you have a large company and everyone on your team is actively involved in the testing process, then you’ll definitely need many external beta testers and an iOS beta testing tool that can help you collect and manage their bug reports and feedback and communicate with them. Beta testing is a great way to build a community of users before even launching your app. Your beta testers get to see new features before release, you’ll be rewarding them in some way for their participation, and they get a say in the development and improvement of your app, so they end up being invested in your product and feeling a sense of ownership over it. This is a great way for you to turn them into loyal users long after after the beta testing process by maintaining communication and good relations with them. Testers will not only use your app after its release but also become promoters for your app in their social circles, increasing your user base organically through word of mouth. With over two million apps on the App Store now, Apple is known for having a strict review process and high standards to ensure a selection of quality apps. One of the things they focus on the most is that the app is not buggy. Beta testing is a great approach to make sure that you’re submitting a quality app and increase your chances of getting approved by the App Store. Using Apple’s beta testing distribution tool, TestFlight, and other iOS beta testing tools aimed at enhancing app quality improves your chances of approval. When you’re beta testing your app, the goal is to have your beta testers find the problems that you need to fix or optimize before release. In most cases, you want them to focus more on the bad than the good, as you want to find and fix any bugs or crashes that disrupt your user experience. A study by Compuware showed that users have low tolerance for apps with bugs or apps that crash. 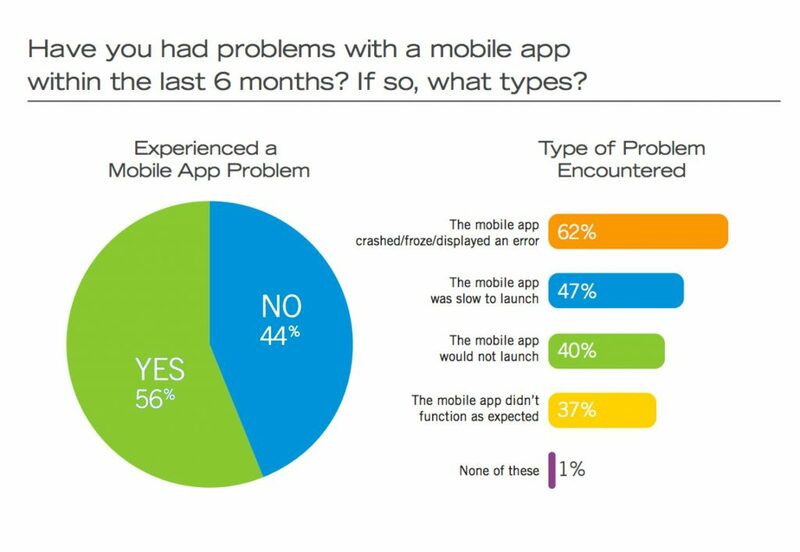 79% of the users said that they would only retry an app once or twice if it failed to work the first time, and only 16% said they would give it more than two attempts. That’s why you need to make sure to eliminate as many errors as you can with an iOS beta testing tool before releasing your app because first impressions are everything. User feedback is the foundation of the beta testing process. In many cases, beta testers are regular end-users who are not technically trained to properly test your app or write detailed reports. They are just trying out the app as any normal user would, which is why developers end up with feedback that is not constructive, defeating the purpose of the test. Many testers will leave you generic statements like, “This didn’t work”, or even positive feedback like, “I loved it”, but these comments don’t really give you much insight. What you need is quality, actionable feedback. One way to solve this is by using an in-app feedback tool like Instabug that automatically captures all the data you might need and offers a channel for you to communicate with your testers to ask for more information. Tools like this have proven to increase user feedback by 750%. You can also check out What to Ask Your Beta Testers to Get Better Feedback and How to Maximize Engagement by Keeping Your Beta Testers in the Loop for more information about how to learn the most from your beta testers. Instabug is the top iOS beta testing tool for mobile apps. It provides the most useful metadata on the market, exceptional user support, and an in-app communication channel to chat with your beta testers. Integrations: Jira, Slack, Trello, GitHub, Zendesk, and more. Pricing: Free. Paid plans start at $41 per month. Learn how Instabug for iOS can help you iterate faster, build better apps, and drive five-star reviews through bug reporting, crash reporting, in-app surveys, and feature request management.